I stopped by to look at the Interactive 3D pavement art. Over a dozen well known international artists were creating their circus inspired compositions right before the eyes of an awed crowd. And respect and admiration is just what’s in the air when you walk around “Circus City, USA,” this year’s Chalk Festival, a bow to Sarasota’s circus history. For ten days, this free festival spans 300-600 South Pineapple Avenue in Burns Square and currently runs through November 6th. I stopped by to look at the Interactive 3D pavement art. Over a dozen well-known international artists were creating their circus inspired compositions right before the eyes of an awed crowd. Standing aloft on a two-story scaffold nearby these artists, was Kurt Wenner himself, the celebrated innovator of this art form. He was directing his own crew of artists from Japan, Germany, Italy and Mexico as they created a complicated, original and beautiful work of visual illusion, premiering a new Wenner technique designed for the festival. This elaborate, massive, intricate piece is a must see for both its extraordinary imagery and eye teasing technique. Between November 1-6, visitors will be able to step into these artworks and among many options, they can strike a pose with lions, kiss an elephant or perch on a clown’s palm. In this unlikely street setting, experiencing art so directly, surrounded by giggles and cries of disbelief, I can’t imagine that even a killjoy could resist attempting an imaginary balancing act along the high wire painted on the street. 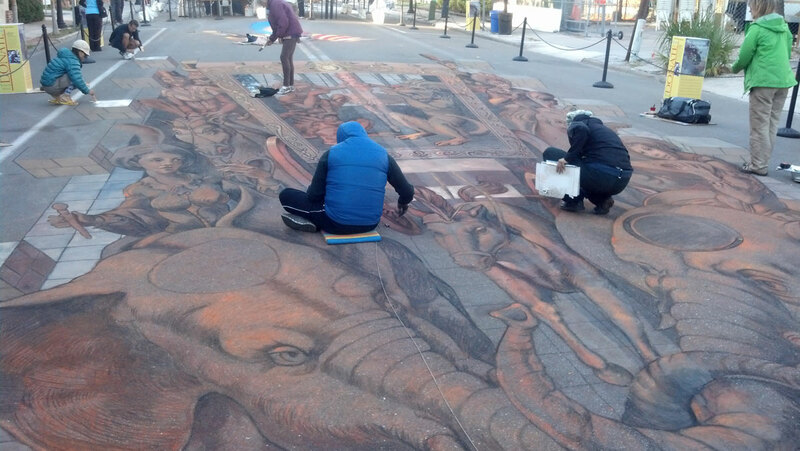 The 2D pavement artists will chalk between November 2nd-4th. Their finished artwork can be viewed November 5th and 6th. And don’t forget to look up as well– painters, spray can and airbrush artists are going vertical, creating artworks on pre-approved private walls around the city. Over five hundred artists are participating in all of these events. “Forgotten stories”- one small, beautiful fragment of information like that, helps me see different things in Keer’s work. Henry Darnell is the next artist in this series. He’s up today, November 1st at 7PM. At one point, a Swedish family with two girls about ten and twelve years old, stood next to me on the street. We watched the artists chalk on the pavement below us. Soon the mother and I began to talk. “How have they liked it?” I asked. 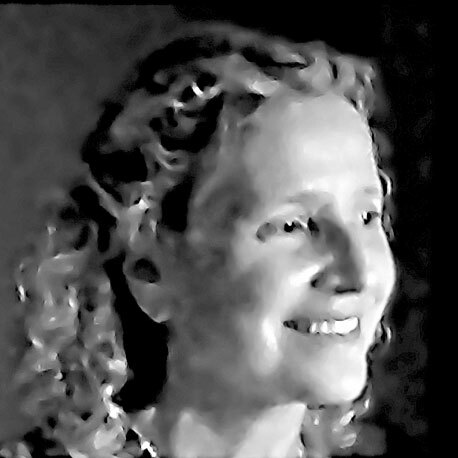 Pamela, your article gives the reader the initiative to join in the creative process and vision of each artist and what they are trying to convey in their interpretation. The weather an added plus being so glorious! Thanks Pamela for your coverage of this exciting community arts festival. It makes clear that art doesn’t have to hang on a wall or be displayed in a frame; That expensive oil paints and brushes aren’t always necessary and that an art work doesn’t have to last for an investment– as these creations will fade away with the passage of time like sand castles on the beach, CHALK ON!!!!!!!!! Good slogan for a tee shirt! Like the mandala made in sand… the process IS the art form and when completed only to be admired in its beauty until the next wind or rain comes. Perhaps we appreciate this type of art more because of its fragility. Knowing that the work will soon disappear does become part of the experience of viewing it.